I am a huge fan of HGTV shows. I especially like Hometown because Erin is a fellow Frugal Fanny, make what you can't afford. I have all of season 2 on my DVR and I was watching the second episode, and Erin used a piece of tribal cloth to make a pillow for the homeowner. Tribal cloth doesn't work in my home but it did get my gears turning. I had a table runner that I loved the fabric it just didn't work in for my dining room table but would work in a sitting area I have. I found it in the drawer and went to work one afternoon. This post contains affiliate links. When you make a purchase from any of these links I make a small commission that helps to fund future projects. This is the perfect sewing project for someone who hasn't sewn before or hasn't sewn in a long time. Since we are using a pre-made table runner to start with the sides seams are already sewn so we'll only be doing the top and bottom seams. Two seams won't take you long or be overwhelming. 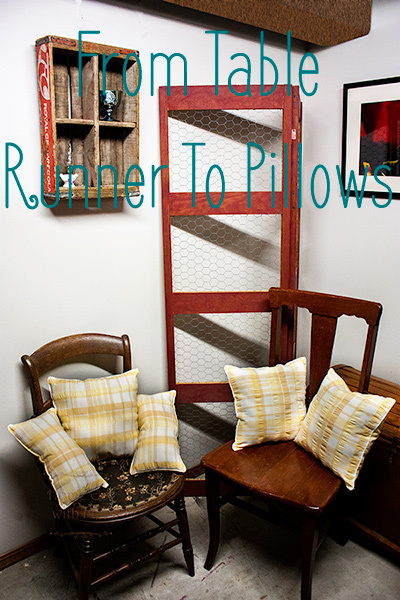 So let's get started turning that table runner into some pillows. If you are new to sewing you can get a great starter set that has a rotary cutter, mat, and ruler. The first thing we need to do is measure our table runner. We need to know how wide it is. Mine was 13 and a half inches wide, your width may be different so just substitute your width in the math below. We have two ends that have three seams, the sides, and the bottom. Those two cuts we are only adding a half inch to our width. So in my case, I measured 14 inches from the end and made a cut. I turned my table runner around and repeated it on the other end. For the rest of the pillows, we are going to add 1 inch to our width for our cuts. This is because we now have to sew two seams and each seam is half an inch. I was able to get two more cuts at 14 and a half inches. With the piece that was left I just cut it in half for the two armrest pillows. All seams need to 1/2". Don't forget to use your reverse to lock the stitches at the beginning and end of each seam. 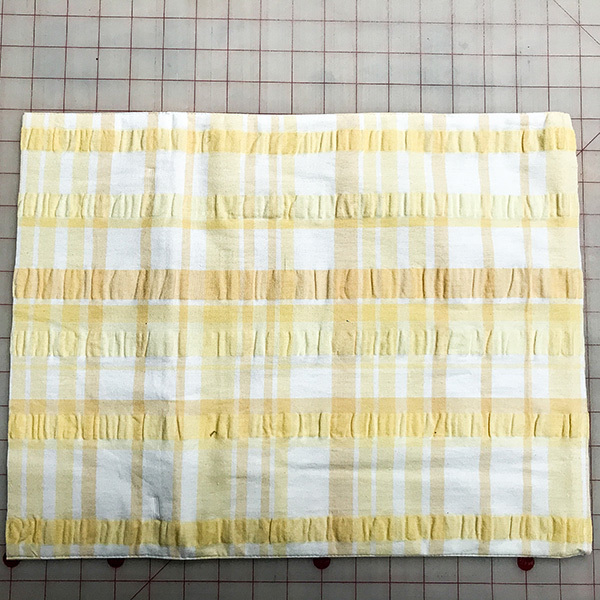 My table runner had an interfacing in it so I simply cut it out of the pillow along the seams that were sewn at the factory. Set aside the two that have three seams from the factory. 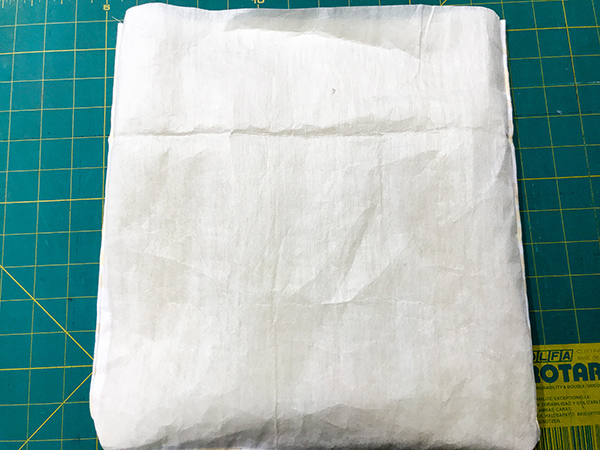 Turn the rest wrong side out and sew a 1/2" seam along one long edge on all of them. When you are finished turn, the two you set aside, wrong side out. On the opposite side, we need to leave an opening. This is how we get the stuffing in. I left about three inches for my opening. Putting a pin in to remind you where to start and stop your seam is helpful here. Turn your pillows right side out and give them a good press. Make sure at the opening your raw edges are tucked in. This will make sewing the opening closed later easier. Stuff your pillow with your fiberfill. Use a handful of fluff at a time. You want your pillows to be pretty full here. 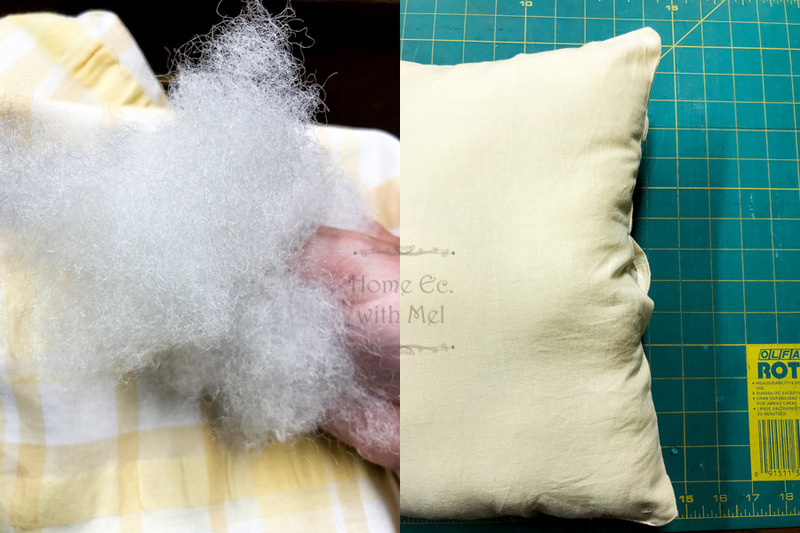 When I was a kid and helping stuff pillows with my mom and grandma, grandma would always tell me "Stuffing is cheap no one wants a flat pillow. Make it full like Santa's tummy." You don't want to make it so full that you can't shut the opening though. Once your pillows are stuffed pin your opening shut. This is key to making sure nothing shifts while you sew. You can do this by hand if you prefer. I used my sewing machine because the factory edges had topstitching so no one will never know. I repeated the stitching on the bottom just so all four sides looked the same. That's it!! 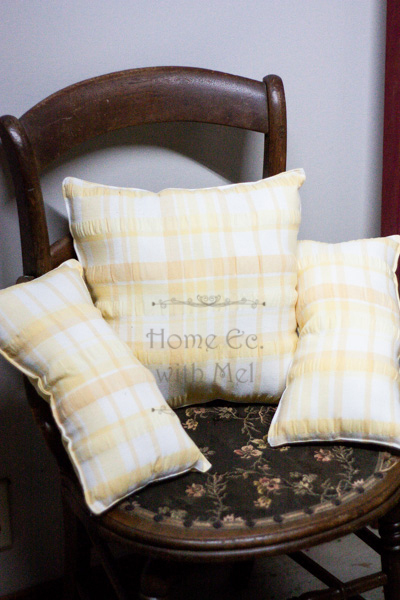 You just turned that old table runner into a set of pillows. 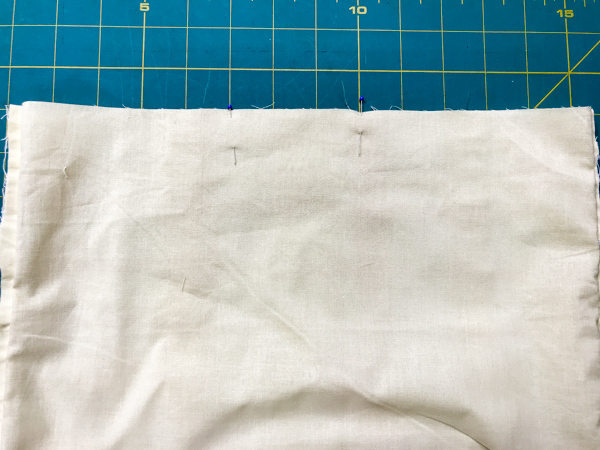 When topstitching your opening shut and along the bottom put your needle in the farthest right position. Also, use the edge of your machine foot as your guide for sewing. That will make a small seam and will look similar to what came from the factory. Take your time!!! Just because I can do it in an afternoon don't think you have to. Work on it during nap time. Take a week. To quote the woman who inspired this project "Get up and do it!" Most bags of fiberfill come with a poker to help you get into the corners. If yours didn't you can use a dowel rod or the CLEAN end of a wooden spoon. The corners will never fill tight like the rest of the pillow though so don't stress out about that. If you want more ideas for turning your house into a home be sure to sign up for our newsletter. If you have ideas you'd like to see be sure to share them in the comments below.